Classic meets modern....I love that we created a really traditional style monogram in the background and then topped it off with some finishing text in a clean modern font. Because the design isn't "themed" it really gives Wanda the freedom to design around it for her blog and website. I haven’t any word to appreciate this post.....Really i am impressed from this post....the author has told us the secret to build unique logo thanks for shared this with us. 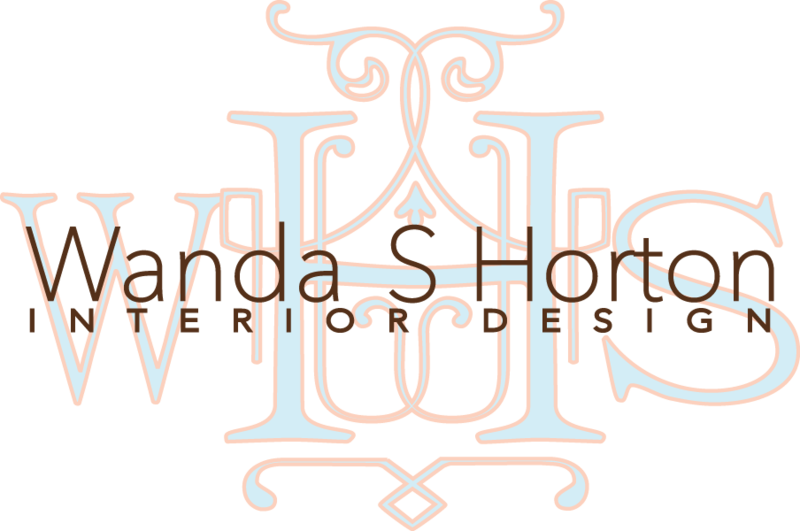 The logo of Wanda S. Horton Interior Design is utmost outstanding. The watermark is looking great at background. Don't wait... Just click ORDER and Place your order for us. Wow! the creative logo looks like a real royal logo. Great work! I know that Wanda was too much happy with logo design. Because the creative logo always rocks and shine. Great Work!